There is always one—and only one—point on Earth that is closest in distance to the sun. At this point, the sun is directly overhead, and its rays land exactly perpendicular to the earth’s surface. This is called a subsolar point, and it circles the globe every day, while simultaneously following a repetitive, yearlong north-and-south cycle based on the planet’s changing tilt. This WWII plane died a quiet death, and is now a garden eel playground. The remains of the summer palace of King Kamehameha III. This means that the subsolar point, at one time or another, hovers somewhere between the Tropic of Cancer and the Tropic of Capricorn, Hawaii included. 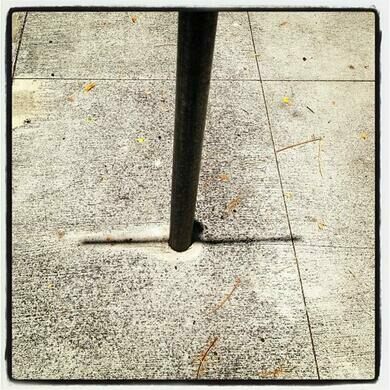 The subsolar point in Hawaii has been nicknamed the “Lahaina Noon,” and since the sun is directly overhead and the rays fall perpendicular to the ground, a strange thing happens when it comes to the shadows of objects that stand straight up: they disappear. 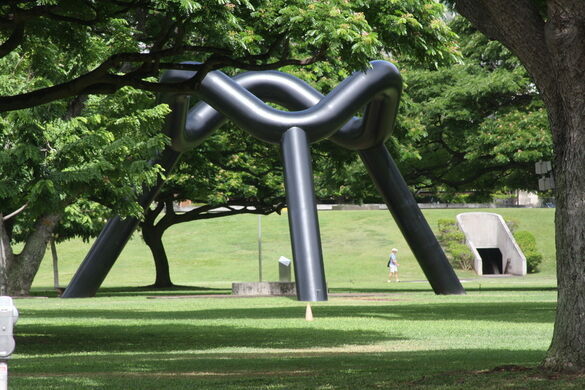 This occurs twice a year in Honolulu—on May 26th at 12:28pm and July 15th at 12:37pm—and world-renowned artist and landscape architect Isamu Noguchi decided to take full advantage of the astronomical phenomenon in Hawaii’s largest city. His sculpture “Sky Gate” has a bendy, bumpy ring which drastically changes height as it goes around. For 363 days of the year it will make a curvy, twisted shadow, but when the sun is directly above it, the height-changing ring casts a perfect circle on the ground. You can go here to track the live position of the subsolar point. Located in an expanse of lawn between the Honolulu Municipal Building and the Mission Memorial Auditorium near Honolulu Hale. The grand marquee of this abandoned Hawaiian theater remembers the building's elegant past.